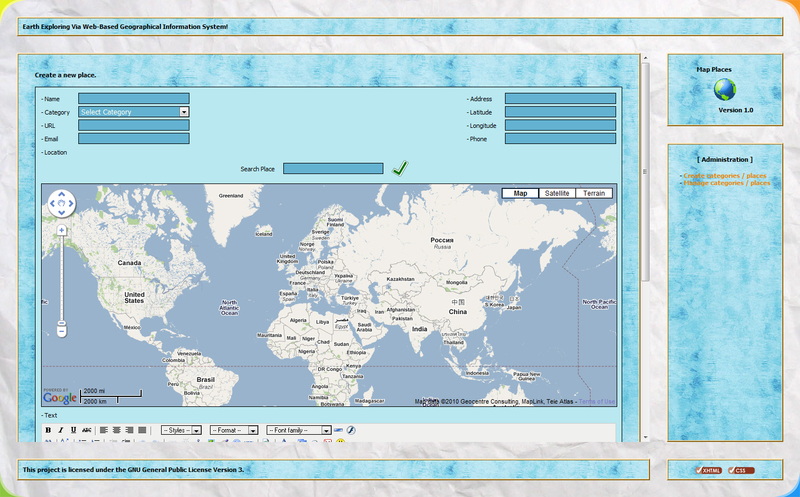 The project ‘map-places’ (Map Places). 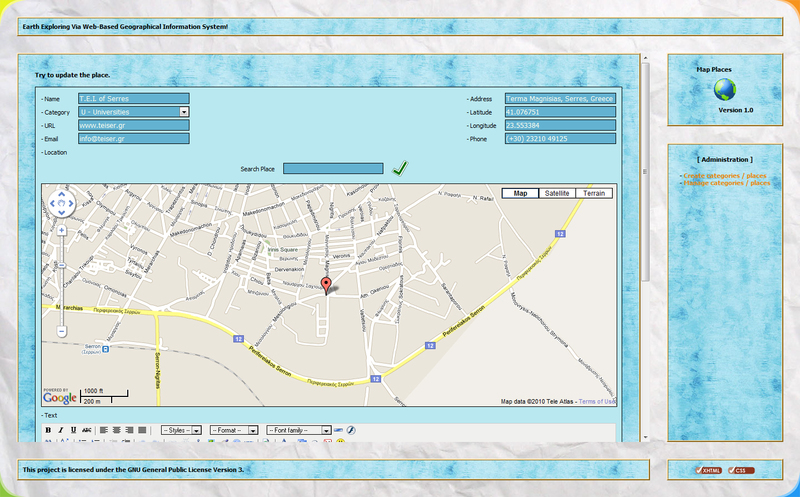 This project refers to a safe, friendly and useful to the end-user Web Geographic Information Management System which is used for displaying and managing GIS on the Internet. 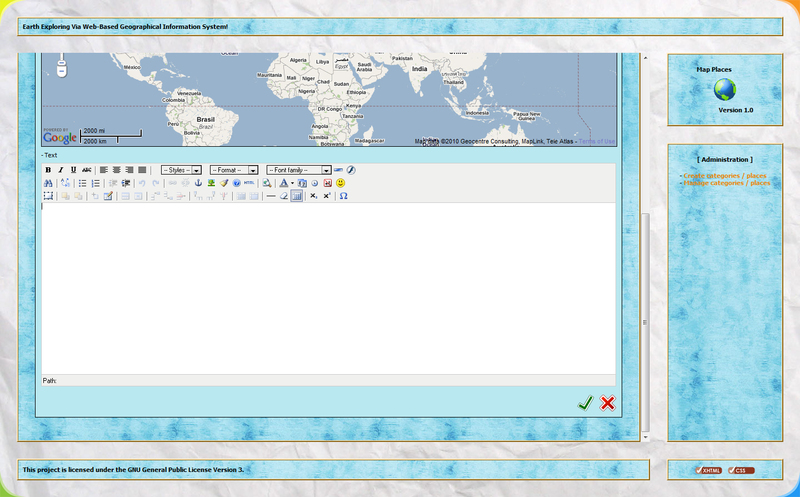 The Geographic Information is located on an exclusive database (MySQL) and the user can browse them by categories. 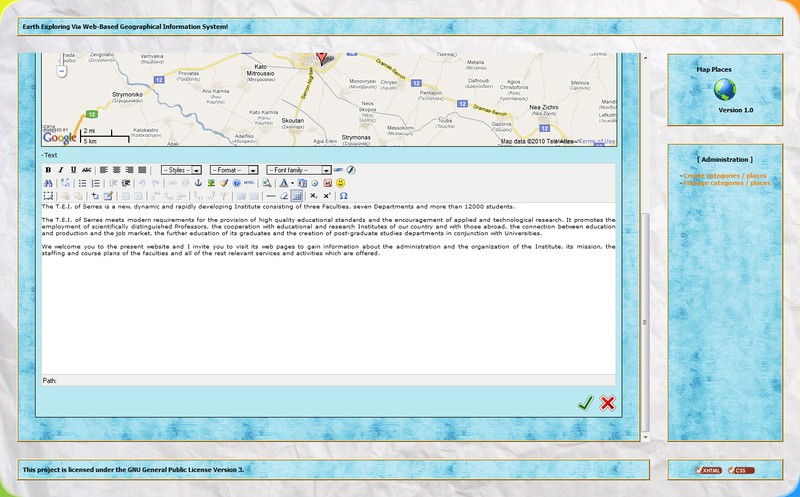 The system also has both front-end for the viewing of GIS as well as back-end for managing the overall system. This project is free software and you can improve it if you want to. Also the Google Maps API is used. « Completion of the fourth seminar of the ARDUINO open source electronic platform.